High school colors to club colors - you have come to the right spot! Only Newline offers so many options, with our 6" x 8" Open Wreath Medallion 1st-5th Place Plaque customizer - and it's so easy and so much fun to create. 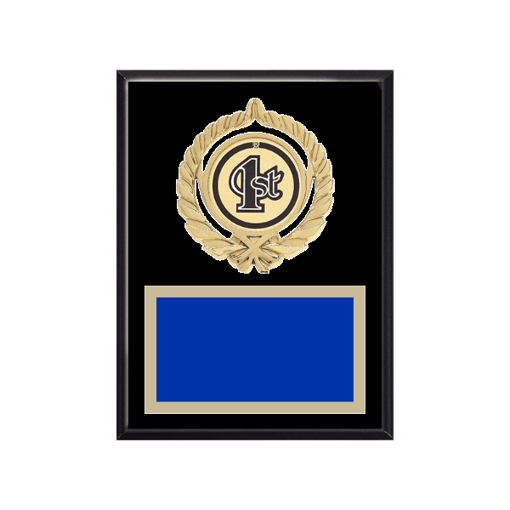 Design your engraved plaque by choosing engraving plates to 1st-5th Place Emblems with the finest Web app on the internet. Engraved FREE and delivered FAST right to your door. . .